With the 2nd annual ComCap16 conference rapidly approaching, we wanted to give you a sneak peek at a seriously special presentation we are wildly excited about, Vanessa Van Edwards and The Science of Communicating Well (When the Message is Messy). A behavioral investigator by trade, Vanessa is an undeniably dynamic speaker who will share her expertise in an interactive presentation that you won’t want to miss. One-on-one conversations are at the heart of local investing. How can you stand out when the competition is fierce and your innovation is complicated? From casual neighborhood conversations to high-stakes presentations, how you communicate can be as important as what you say. One of the most famous examples of this comes from the 1960 presidential debate where Nixon appeared submissive and anxious, but where Kennedy radiated confidence and authority. Historians largely credit Kennedy’s trustworthiness as the deciding factor that won him the presidency. 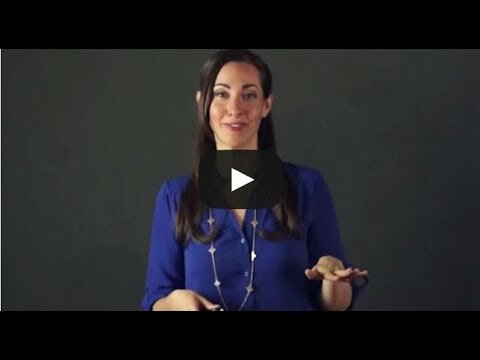 Introducing the online video “Body Language for Entrepreneurs,” Vanessa explains that your posture and tone of voice can not only make a lasting first impression, but also help you close a business deal. Vanessa Van Edwards is a self-described “recovering awkward person.” She loves studying the hidden forces that drive our behavior and what makes people tick at her human behavior research lab The Science of People. She is fascinated by body language, leadership, and charisma and writes about these topics for CNN, Fast Company, and Forbes. She is also a Huffington Post columnist and published author. Her innovative work has been featured on NPR, Business Week, and USA Today. She is an amateur gardener, a vanilla latte lover, and addicted to Sour Patch Kids. Joining us at ComCap16? Excellent! Enjoy Vanessa’s special presentation on Wednesday, April 27th at 4:15pm in the Marquam Room at Ambridge Event Center.